In the immortal words of Jean-Paul Sartre, "Au revoir, squirrel." Is this what Todd Wanner is thinking? Many people in Mono County like to grow a garden, connecting with nature and getting food while they’re at it. But increasingly, it seems like California ground squirrels do nut want them to succeed, requiring locals to get creative both in stopping these creatures from becoming their worst nut-mares, and in coming up with cheesy nut puns. 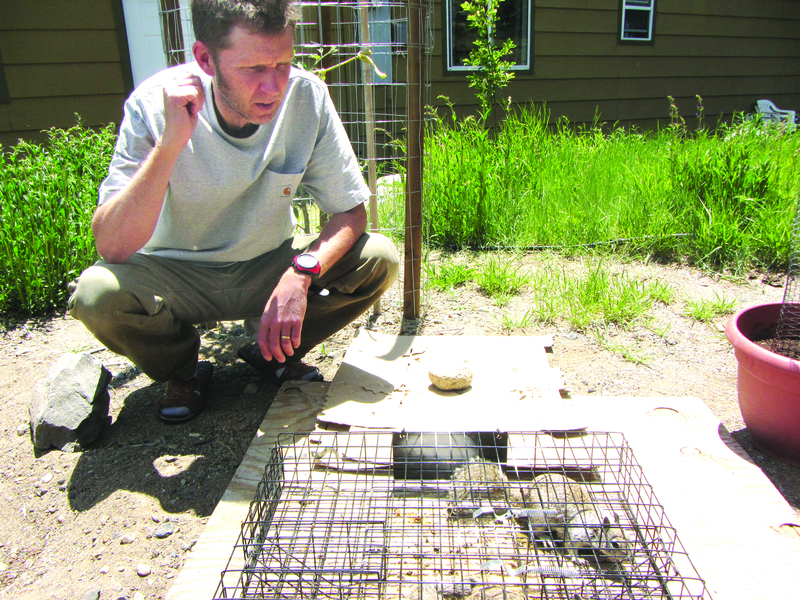 According to Andrew Hughan, public information officer for the California Department of Fish and Wildlife, these squirrels are native to Mono County and most of California – hence their name. But talk to anybody around here who grows a garden, and you will find that they are almost universally despised. Locals also claim that their populations have grown exponentially in the past few years, although Hughan says there is no data to indicate such population growth. It’s worth noting, however, that the latent squirrel problem seems to have begun four or five years ago, and gardens not adequately prepared for the invasion are sometimes completely destroyed in as little as a day. Next story Indicator Indicates B.S.